A ground-breaking new brand will be launching its meatless ‘bleeding’ burger into Dublin this week. Available from the 7th February, seven days a week, foodies will be able to try the veggie bleeding burger at Thunderroad Café in Temple Bar. With the demand for plant-based food growing, the Moving Mountains burger has taken a team of UK scientists, chefs and farmers more than three years in a lab and over 500 test-kitchen recipes to create the final product. Moving Mountains’ plant-based meat requires less land, less water and produces less greenhouse emissions than animal meat. 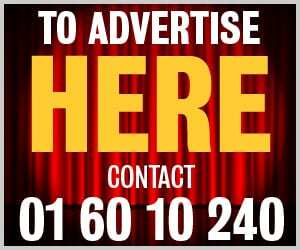 It looks, smells and tastes as indulgent as regular meat so it can be enjoyed 100% guilt-free by Irish diners. The burger will allow food lovers to enjoy an experience so akin to animal meat, it will convert even the most committed carnivores. The Union: A Moving Mountains patty served with vegan garlic mayo, lettuce, tomato, onion & spinach, which is fully vegan. The Darko special: A Moving Mountains patty served with a jumbo onion ring, garlic mayo, Monterey Jack cheese, lettuce, tomato, onion & spinach. When cooked in the pan or BBQ, it sizzles, smells and browns just like the real thing. Just like the very best juicy burger, when perfectly cooked, the Moving Mountains Burger bleeds through the middle – with beetroot juice instead of blood. 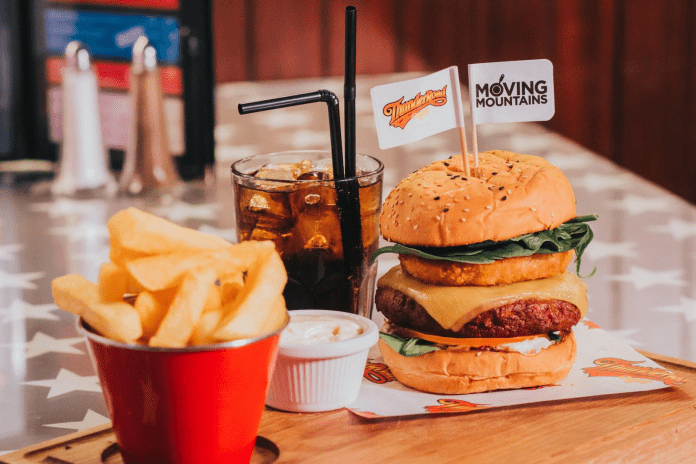 Vitamin B12, traditionally associated with red meats, has been added so that the Moving Mountains® Burger can genuinely compete with a beef burger and provide more essential nutrients as the burger contains the RDA (Recommended Daily Allowance) of B12.